The Texas born Price began his career as a protege of sorts of Hank Williams, and certainly Williams' influence can be detected in the hard edged hits that Price had from the late '50s through the mid '60s. He hit big in 1956 with the song "Crazy Arms" written by steel guitarist Ralph Mooney. 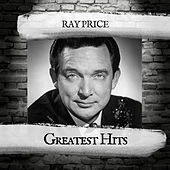 The song features a driving bass and drum part, a 4/4 shuffle that has since become part of country music's sonic vocabulary and is known as the "Ray Price Shuffle." The second act of Price's career came in the early '70s when he had a huge crossover hit with Kris Kristofferson's "For the Goodtimes." 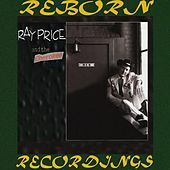 Price's version is a lush string driven example of the best of the Countrypolitan sound and is widely regarded as a classic. At each stage of his career, Price kept his own council when it came to choosing material. to hear him tell it he was advised against both "Crazy Arms" and "For the Goodtimes." These songs and the numerous others that he brought to the top of the charts are a testament to his vision as an artist.